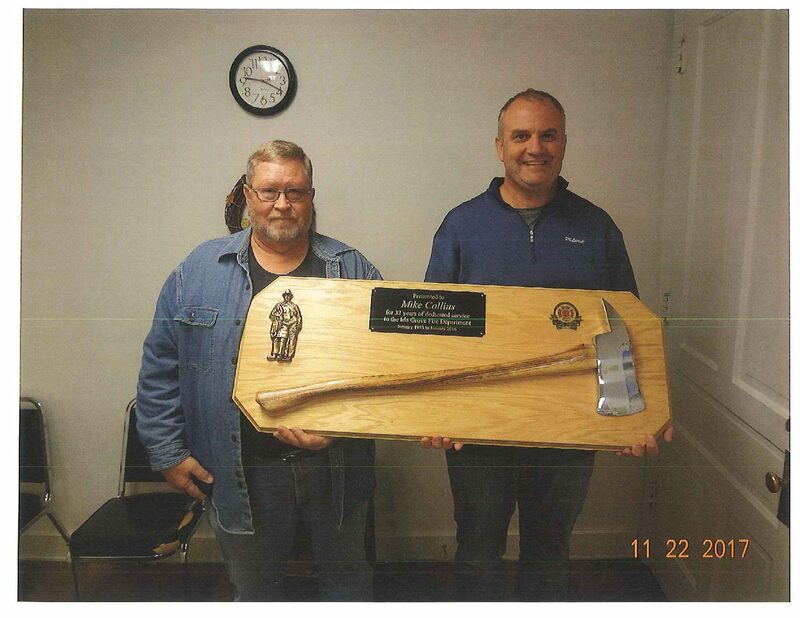 The City of Ida Grove and the Ida Grove Fire Department would like to thank Mike Collins for his many years of service to the community. Mike served as Fire Chief for 10 years within his total of 32 years of service in the Fire Department. Mike is presented with his service award by Mayor and Assistant Fire Chief Devlun Whiteing. Thank you Mike for your service, it is very much appreciated by everyone in the community.